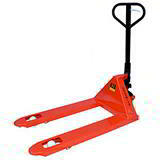 Exercise complete control over a 2-tonne load with just one finger! 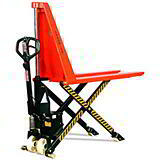 While pallet trucks have always been able to comfortably lift and move impressively heavy loads, the problem has always been control. Bringing a 2-tonne load to a swift halt can be a problem should the need arise. Not any more. This new pro brake pallet truck gives you total control, no matter how heavy the load. Because it moves forward when you push the handle forward, moves backwards when you move the handle backwards, and stops dead when you do neither. That means that there’s no chance of ever losing control or overrunning. 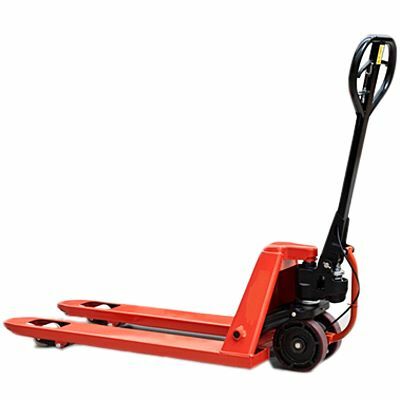 That makes it just about the safest hand pallet truck on the market, ideal for use in restricted and busy areas, guaranteed to keep your health and safety inspector happy. It will also deal comfortably with uneven and difficult terrain making it an all-round winner for any workplace. 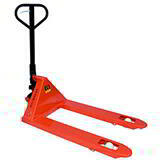 Keep your warehouse moving with a quality Davpack pallet truck!